Caption: Owner Steve Coburn kisses his horse. 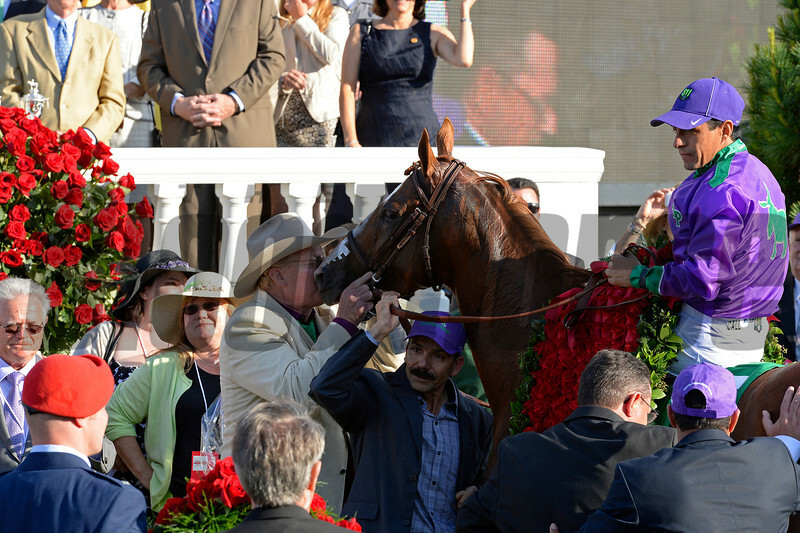 California Chrome with Victor Espinoza wins the Kentucky Derby (gr. I) at Churchill Downs in Louisville, Ky., on May 3, 2014.